Most people assume that water is just water but, in reality, not all water is “created” equal. Typically, water falls into one of two categories: hard and soft. The difference has nothing to do with how it feels, and everything to do with the mineral content. Although both are safe for human consumption, some homeowners prefer soft water over hard water and vice versa. Knowing the difference between the two can save you money while improving your health. As rainwater falls, it’s naturally soft. However, as water makes its way into our waterways, it picks up minerals, particularly calcium and magnesium. Since hard water contains essential minerals, it is sometimes the preferred drinking water. Although hard water tastes slightly better, soft water is preferred in most households for one reason: hard water is harsh. Hard water is to blame for dingy clothes, dishes with spots, soap scum accumulation, higher energy use, weak lather, and dried out skin. The most common way to determine the hardness of water is by investigating the formation of suds when you use soap. There is less lather formation with hard water; instead, soap scum is produced. Additionally, hard water forms deposits through calcification that can clog plumbing. In swimming pools, a cloudy or milky appearance is a sign of hard water. While hard and soft water test kits are sold at most home improvement stores, the identification of soap suds is the easiest way to evaluate the hardness of your home’s water. When it comes to hard water, it’s often classified into either permanent or temporary hardness. Hardness that can’t be “removed” via boiling is called permanent hardness. Since water hardness is caused by the presence of bicarbonate materials, boiling hard water can actually remove these materials – with the end result being soft water. If the water hardness can be “boiled out”, the water is classified as being temporarily hard. Note: permanent hardness can still be softened, just not through boiling. Although soft water may be preferred for household chores, both types of water have their own advantages and disadvantages. Hard water typically has a more pleasant taste, and some people believe it’s better for your health because it provides the body with essential minerals. However, it can leave deposits and corrode pipes over time. Hard water tends to leave behind spots on dishes and in showers and bathtubs, and doesn’t produce much soap lather. In some cases, hard water can prevent water heaters and washing machines from working properly. While soft water is better for the skin, better for cleaning clothing and dishes, and helps household appliances work more efficiently, the biggest drawback is that it does not taste as good as hard water. If you use tap water for drinking and cooking, expect a salty, flat taste. How is Hard Water Softened? There are several ways to reduce the hardness of water, including distillation, reverse osmosis, or, most commonly, the addition of a chemical softener. A high quality water softener system will give you well balanced water for your home. If you think you may have hard water, contact a commercial water filtration and treatment company for more information. Winter is here and, depending on where you live, you’re probably wearing extra layers to keep warm. But did you know your pipes need protection from the cold, too? If you live in an area where the temperatures drop into the 20s, even for only a few days, you’ll need to do several things to protect your plumbing. Each year, thousands of households deal with the messy and expensive inconvenience of frozen pipes. So, if you’re warm and cozy in front of the fireplace, don’t forget about your pipes! Although all pipes are at-risk in extreme temperatures, some pipes are more prone to freezing because of their location in the home. Pipes most at risk for freezing include exposed pipes in unheated areas of the home, pipes located in exterior walls, and any plumbing that’s located outside the home. Pipes in attics, crawl spaces, and outside walls are especially vulnerable to freezing, particularly if there are cracks or openings that allow the cold air from the outside to come in contact with the pipes. 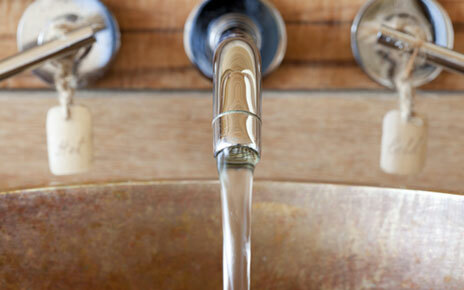 Turn off the water supply to exterior faucets and drain them. When the weather is very cold, let the cold water drip from the faucet served by exposed pipes. If you forgot to prepare your pipes for winter and are suffering the consequences, you can still thaw out your pipes in a few steps. First, locate the water main cut-off valve and cut-off the water before attempting to thaw out frozen pipes. Once the water is shut off, open the faucet the pipe runs to so the thawed out water in the pipe has somewhere to go. By using a hair dryer, heat lamp, or portable space heater you can manually thaw the frozen water in the pipe, just be sure to avoid using blowtorches, kerosene, charcoal stoves, or other open flame devices. 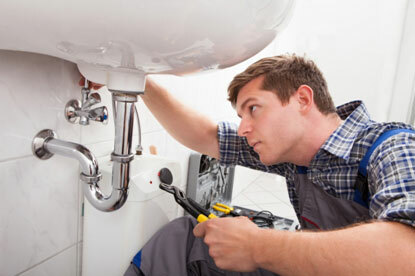 If you cannot locate the pipe or cannot thaw the pipe yourself, call a licensed plumber. So, you want to remodel your bathroom but don’t want to break the bank? Join the club. Although the cost of a bathroom remodel varies depending on location, materials, age of the house, and what kind of renovations have already been done, a typical bathroom remodel can set homeowners back by an average of $15,000+. With that type of investment, it’s important to stick to a budget the best you can. Here are some budgeting tips to help you minimize the costs associated with a bathroom renovation. When it comes to bathroom fixtures, like bathtubs and vanities, you can save some cash by purchasing these items on your own. While it might be easier to hire someone to purchase these items for you, you can save thousands of dollars on your bathroom renovation by finding your own deals. Online retailers are a great place to start – in many cases, purchasing directly from the factory can save you up to 70 percent and includes free shipping. If you’re going for a vintage look, try estate sales, auctions, and Craigslist – you never know what treasure you’ll be able to find until you take the time to look. Whether you’re a DIYer or not, performing some of the work yourself is a great way to save on labor. When it comes to painting, it’s a time-consuming (and expensive!) act that most people can do themselves. Once you’re in DIY mode, think about what other parts of the renovation you can do on your own: demolition, removal of popcorn ceiling, and installation of smaller fixtures often top the list of bathroom renovation projects that are suitable for even the least-experienced individuals. One of the major costs in a remodel is moving fixtures. Not only does repositioning fixtures require a lot of extra materials and plumbing expertise, but it’s a time-consuming act and you’ll be shelling out extra on labor costs as a result. If you keep the same floor plan, you’ll save up to $2,000 on plumbing costs alone. Then, there’s the cost of the fixtures themselves: if that exquisite glass vessel sink is a must-have, then pick a standard no-frills toilet or tub to make up the difference. While it’s certainly acceptable to splurge, don’t splurge on everything- especially if you’re trying to stick to a budget. While this won’t save you money right off the bat, donating your “trash” will give you a little bit extra come tax season. Before you begin a remodeling job, invite the local Habitat for Humanity chapter to remove materials and fixtures for later resale. About 85 percent of a home is reusable, so you’ll save space in the landfill, collect a charitable tax credit for the donation, and help a good cause. The average cost of trashing bathroom fixtures is about $100, and the cost to donate is nothing and includes a tax deduction – so why wouldn’t you donate? Start walking the aisles at the hardware store or home improvement center months before you call a contractor for an estimate. This way, you’ll get a good feeling for what you want in terms of fixtures, design, and appliances. Additionally, you’ll know their cost and have an idea of what number the contractor will throw your way. If the number seems too high or low, let the contractor know. If you’re absolutely clear about what you want from the get-go, your contractor will be able to give you a better estimate and, once the demolition and remodel gets started, you’ll be able to better stay within budget. When it comes to home improvement projects, renovating your bathroom can add significant value to your home – but only if done correctly. While renovating any part of your house is no easy task, kitchen and bathroom renovations tend to be the most difficult - water and electricity, when combined, are forces to be reckoned with. The main causes of botched bathroom renovations are the unwillingness to spend the time and money necessary to construct a bathroom properly, and inexperienced individuals handling the work. Here’s a list of the deadly sins of bathroom renovations you should look out for. Even if everything is installed perfectly, the bathroom is still one of the most dangerous rooms in the home. When you combine water, electricity, slippery surfaces, and breakables together in one room, it’s no wonder that the majority of home accidents happen in the bathroom. Now add an improperly installed electrical outlet or a poorly mounted mirror to the mix and you can put your safety (and life!) at risk. From putting your family at risk for electrical shocks and exposing them to mold, improperly installed bathroom fixtures can cost you. If you aren’t an accomplished DIYer, get professional assistance from an experienced contractor who can help make your bathroom beautiful and safe. When it comes to bathroom renovations, every aspect of the planning and construction of a bathroom should take water exposure into consideration – after all, bathrooms are functional spaces first and design showcases second. If the waterproofing aspect of your bathroom renovation doesn’t account for at least 5 to 10 percent of the total cost, then someone is cutting crucial corners. Inexpensive building materials and poorly constructed shower pans can lead to major water damage down the line. Additionally, carpeting in the bathroom should be avoided at all costs – while it may have once been trendy, it’s now an easy way to invite dirt and bacteria into your bathroom. While open storage might seem trendy, do you really want to put your prescriptions, ointments, acne medication, and fungal cream on open display for your guests? In a day and age where 70 percent of house guests admit to snooping through other people’s bathroom cabinets and drawers, do you really need to make it easier for guests to look through your personal toiletries? If your heart is set on open storage, consider mixing it with closed storage solutions – put hand towels, tissues, and other innocuous bathroom essentials on display and hide anything that might embarrass you in closed storage. Math is important in bathroom renovations, especially since space is usually at a premium. Errors in math and projections can lead to tile-layout problems, shower stalls and toilets that don’t meet code minimums, faucet handles that collide with backsplashes, and large gaps between the toilet tank and wall, to name a few issues. If you’re renovating the bathroom yourself, check and double check your measurements; if you’d like to be extra careful, ask your spouse, roommate, or a friend to look over your measurements before using them to order bathroom renovation materials. Before you can remodel your bathroom, you’ll have to demolish it – this includes removing existing vanities and fixtures so your bathroom is prepared for the facelift you’ve always dreamed of. Whether you’re a total novice or somewhat of an expert, it’s important to take the time to demolition the right way – after all, a successful demolition isn’t about who can swing the hammer the hardest. There is a process to the demolition phase and it requires a plan and lots and lots of patience. Here are some tips for demolishing your existing bathroom without creating extra dust. Before beginning a demolition, you should either rent an industrial-sized dumpster or a truck to haul the debris to the landfill. Be prepared for tons of dust and grit, as removing plaster and tile will cause quite a mess. If your vanities and other bathroom fixtures are still in good condition and you feel guilty tossing them in a landfill, you may wish to consider donating them to organizations like Habitat for Humanity – they’ll get a second life in someone else’s home. If you’re working with a hired team, let them know about your donation plans ahead of time so they won’t damage or trash them upon removal. Whether you plan on performing the demolition yourself or with a hired crew, you’ll need the following tools and equipment in order to perform the demolition properly: sledge hammer, utility knife, wheel barrel, large shovel, shop vacuum, heavy duty gloves, face gargles, face aspirators, duct tape or construction tape, screw drivers and wrenches, old towels, a large bucket, and high intensity light. Although you’ll have to buy most of the above items, some of the larger tools, like wheel barrows and sledge hammers, are available for rent. Before renting, compare the purchase price and the rental price. In some cases, it may be cheaper to buy the tools and either sell them in a yard sale or save them for later use. Before beginning any demolition job, think about what household elements you’ll be dealing with. Water? Gas? Electricity? All of the above? In the case of bathroom demolition, it’s important to turn off the water supply. Before removing a bathroom vanity, turn off the water supply below the sink by twisting the hot and cold nozzles. Turn the handles the opposite of their current position, and test both faucets to ensure the water is turned completely off before you move forward with removing the vanity. Next, you’ll want to unscrew the supply lines that flow from the piping in your wall to the faucets. You can do so by wrapping a wrench around the nut that connects the line to the faucet and turn it until it becomes loose enough to unscrew by hand. If your home has copper pipes that have corroded over time, spray a plumbing liquid lubricant into the joint before beginning the process. Disconnecting the plastic piping that connects your drain to the hole in the wall is one of the easiest parts of a bathroom demolition and shouldn’t take more than a few minutes. If you’re having trouble with turning the pipe connectors, try using a dry rag to get a better grip. If you’re dealing with a double vanity, the job is still simple but you’ll have to disconnect both before trying to pull apart the sink. Once the drain pipes have been removed, you’re ready to remove the vanity and cabinets. If the countertop is attached with silicone caulk, you’ll have to use a utility knife to loosen the countertop where it attaches to the cabinets. In some cases there are clamps securing the bathroom countertop, which can be removed with the appropriate tool. Once the bathroom countertop has been lifted, discard of it in an appropriate area. Now that the countertop is off, it’s time to remove the cabinet. Using a screwdriver or screw gun, remove the screws. Once the screws are removed, you should be able to remove the bathroom vanity. After removing the vanity, cap off the drain pipe to prevent sewage gases from escaping into your home. Either push a large rag into the drain pipe or use plastic and tape to cover the opening. Now that your old bathroom vanity is removed, you’re ready to install your brand new bathroom vanity.